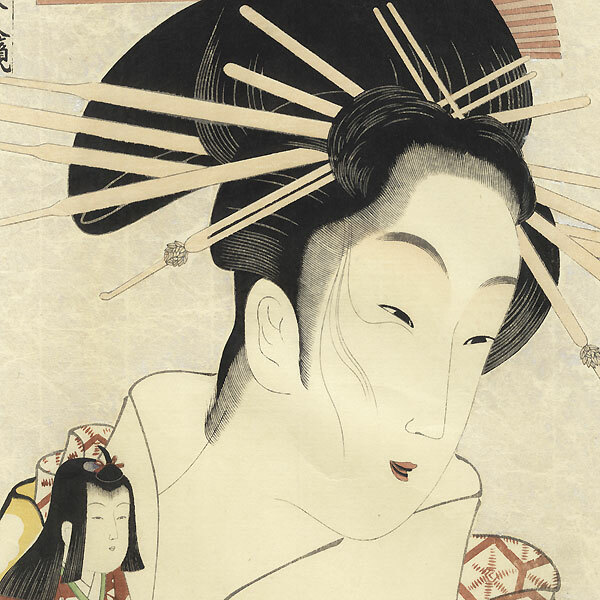 Comments - Beautiful print by Eisho depicting the elegant courtesan Hinazuru holding a doll. She smiles as she looks over her shoulder, carefully holding the doll with both hands. 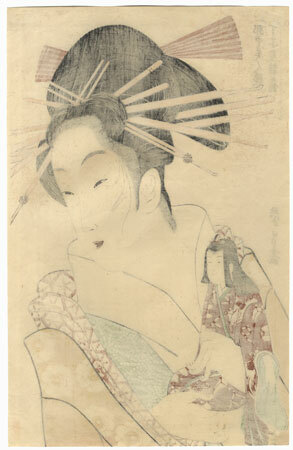 She wears several layers of kimono, the tie-dyed pattern of her green under robe delicately embossed. A fantastic reprint with beautiful soft color and a distressed mica background. A lovely subject to collect or display. 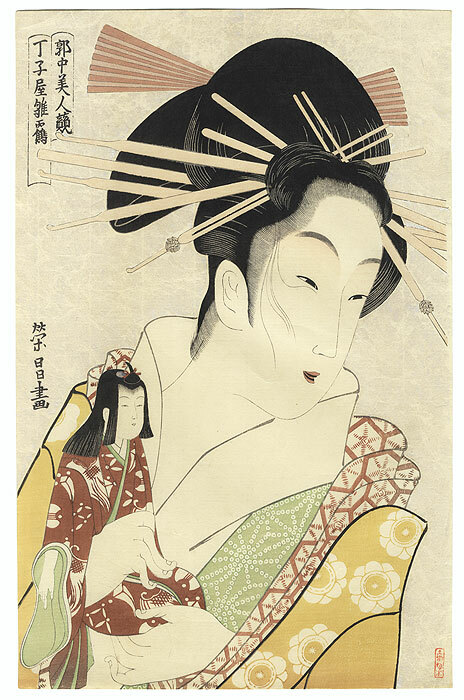 Image Size - 15 1/2" x 9 7/8"
Condition - This print with excellent detail as shown. Slight toning, a few light creases, small indented line. Please see photos for details. Good overall.